This spring freebie is quick, easy, colorful and fun! This also describes all of the freebies that are offered on Looks Like Language all year long to make your life easier. Get the third part of the packet in this week's download here and use it to practice any work your students need to review. Have some spring fun! The worksheets and printable game have a cute bunny, chick, and egg theme. For learning new skills, packets that are more specific are helpful for teaching. 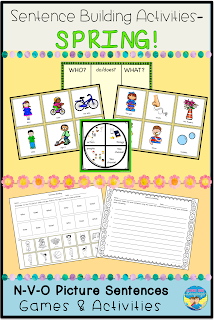 If your students need some work on forming sentences, check out Sentence Building Activities with Pictures: Spring! 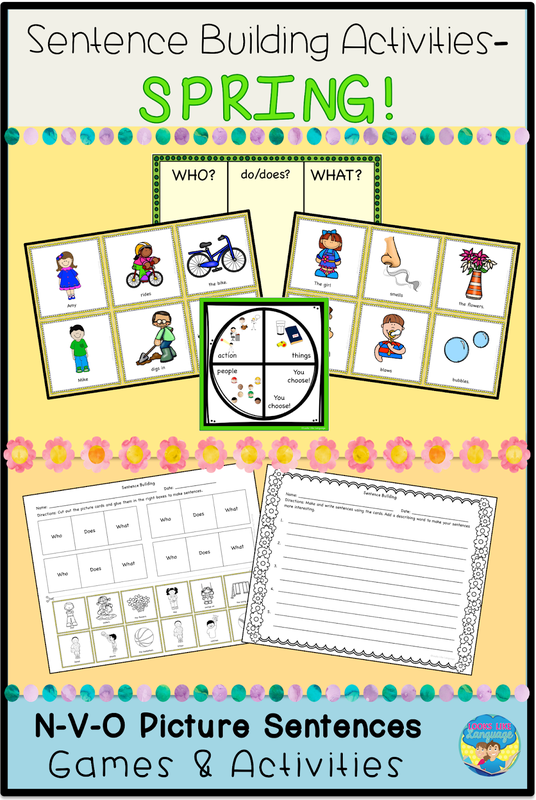 Picture supports are so helpful for all students, especially those with language and auditory processing difficulties.